Click on a screen image to enlarge it. 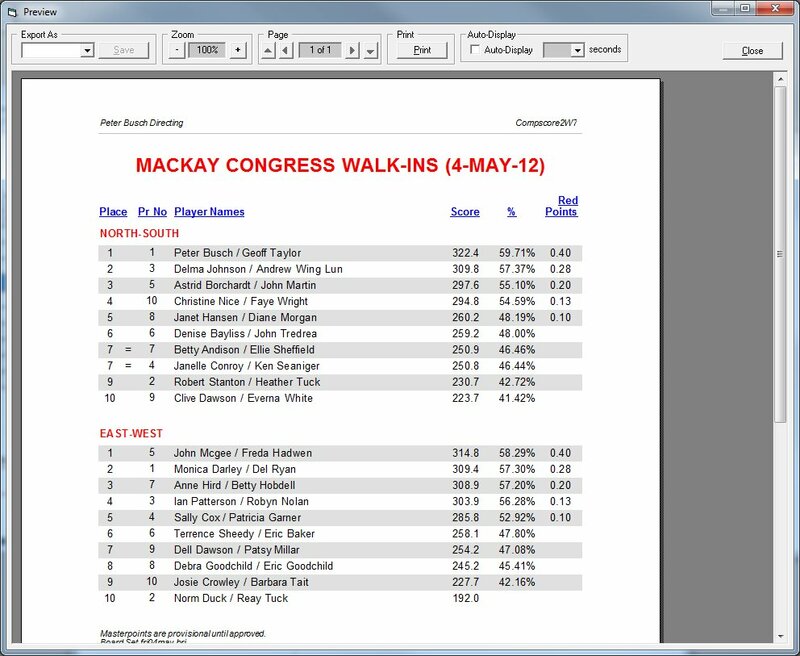 Compscore2 is an Australian bridge scoring program. It is used in a growing number of bridge clubs and congress directors in Australia and New Zealand, and is used to score more than 10,000 club sessions a year. Compscore2 is ideal for any bridge club. 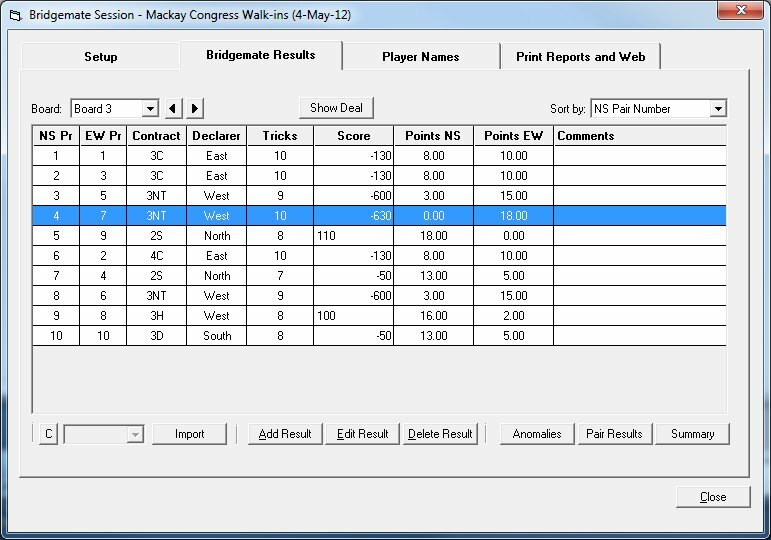 It has been developed to work with Bridgemates and other table-top scoring units, but can be used to score manual events too. It supports virtually any movement at all, with built-in movements for standard Mitchells, Howells and Teams events, as well as the facility to create and save your own templates for any movement you wish. It also handles barometers, eclectics, across-the-field, standard mutli-sessions. Its Swiss Pairs and Teams are used by a number of congress directors as well as clubs, and it also supports multi-session and single session teams events. Comspcore2 incorporates club membership management features. It also manages all your Australian or New Zealand masterpointing requirements. Have a look at the detailed feature list. 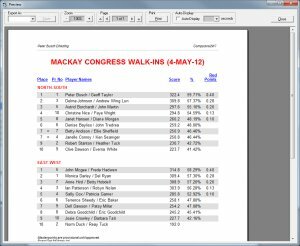 The program is also used by a number of congress directors around Austalia, and has been used to score the New Zealand National Congress since 2013, the Summer Festival of Bridge in Canberra since 2014 and at recent ANCs. Compscore2 integrates tightly with club web sites that are managed by Altosoft. 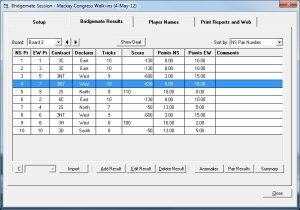 Session results can be uploaded with just a couple of clicks, and players can look at and analyse the results in a number of ways, as well as see the hand plus makeable contracts (depending on your deal generating software). You can see a list of these clubs and their web site addresses or learn more about having an Altosoft-managed bridge club web site by clicking the appropriate option on this page's left menu. Compscore2 also integrates with Bridgewebs and Pianola. Compscore2 costs just $250 ($NZ 250 in New Zealand), and ongoing email support is free (price and level of free support subject to change). To order, complete your details and requirements on our Contact page, or email us at peter@altosoft.com.au. See what others have to say about Compscore2 by visiting our Testimonials page. To have closer look at Compscore2, or to download an evaluation version, visit the Compscore2 Introduction page. Existing users can download program updates, and there is also a Manual and Help page for the complete manual in PDF form or on-line help system, and a page for Movement Templates.